Even though it was winter, the valley looked beautiful. It reached from a lake, past fruit trees, and toward several hills below mountains. Laid out in the harmonious “feng shui” design by the third Ming Dynasty emperor Yongle (1402–1424), the Ming Tombs are just 26 miles northeast of Beijing and definitely worth a visit. 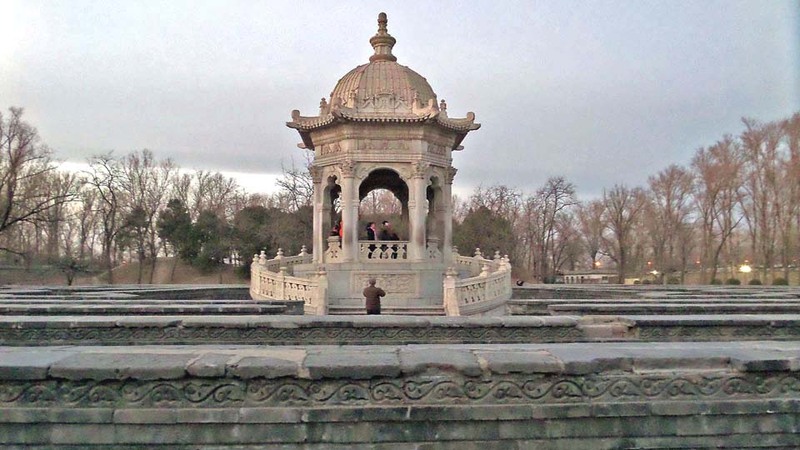 After an exhausting day of climbing the Great Wall of China and wandering around the Ming Tombs, our Chinese tour guide ended the day at Yuan Ming Yuan Gardens on the outskirts of Beijing. Luckily, we were given rides in electric cars to a gate where we wandered through the Western Mansions section of what was called the Old Summer Palace, where only Qing Emperors and their royal courts could live and conduct affairs of state (the Forbidden City was used for more formal affairs). 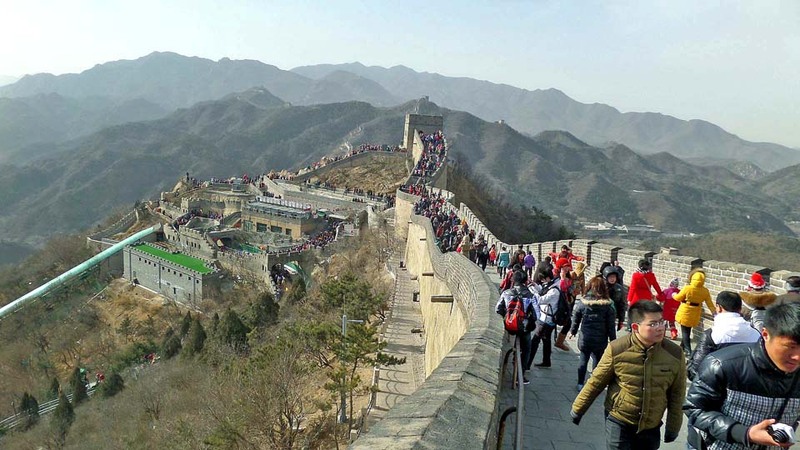 On a cold, windy day I joined a group of Chinese tourists to climb the Great Wall of China. It was difficult, but the views at the top were amazing and gave me new perspectives into Chinese history. Read more about my Great Wall adventures and see photos here. 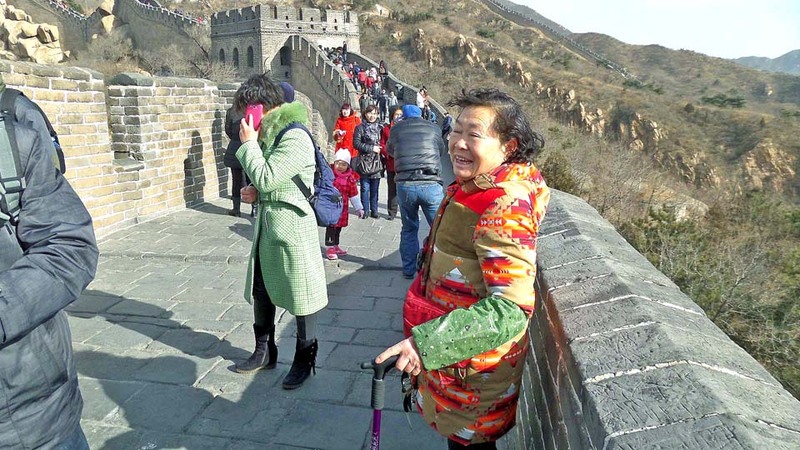 By the way, Justin Bieber had his bodyguards carry him, but this Chinese grandma climbed the wall with her cane! Walk with me through ancient temples, churches, castles, mosques, and palaces of Turkey where I spent 2.5 years teaching English and exploring that beautiful country. I learned the language and culture and even married into a Turkish family. Stand with me at the spot where key battles defended the land from invaders and where Ataturk, the founder of modern Turkey, was buried. 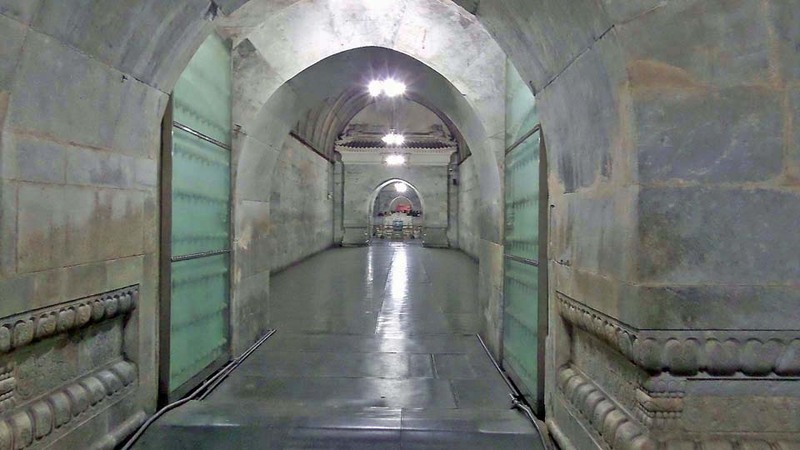 See archeology opportunities with Greek and Roman columns and tunnels directly at your feet. Tour Istanbul, a city built on 7 hills and divided by a waterway that separates Europe from Asia. Get caught in the rain by the Black Sea, feast on shish kabob in Kocaeli, dance the horon at a Turkish wedding, explore Kar Tepe’s mountain forest, and swim in the Mediterranean Sea. 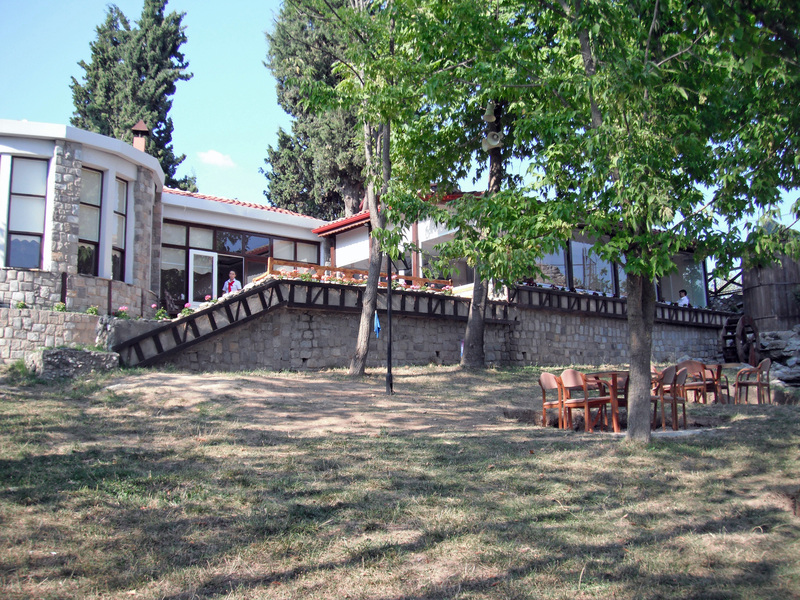 With my vivid photos and stories, you’ll feel as though you walked in Turkey with me. Since it costs so much to print so many color photos, my book will probably remain in electronic format (with links to other Internet sites for more information). Let me know if you enjoy it! Find it here. In Turkey, you can find the most surprising things. 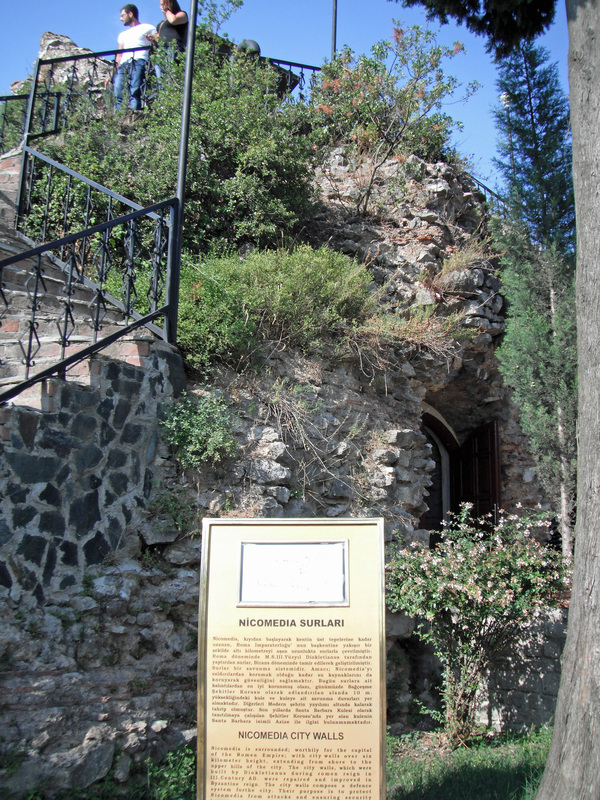 Here is a photo of the ancient city wall and tower of Nicomedia in northwest Turkey. 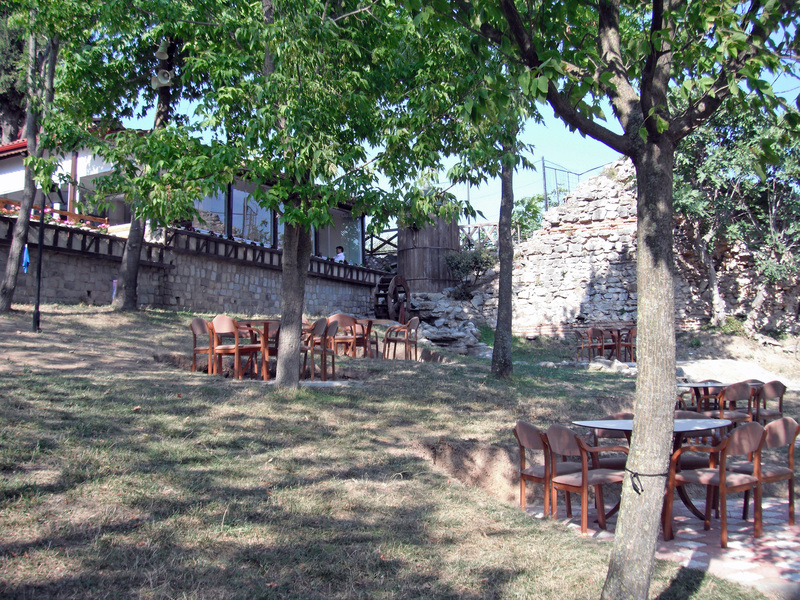 The Greeks built it about 2000 years ago, and it still stands beside a modern restaurant at a hilltop park. 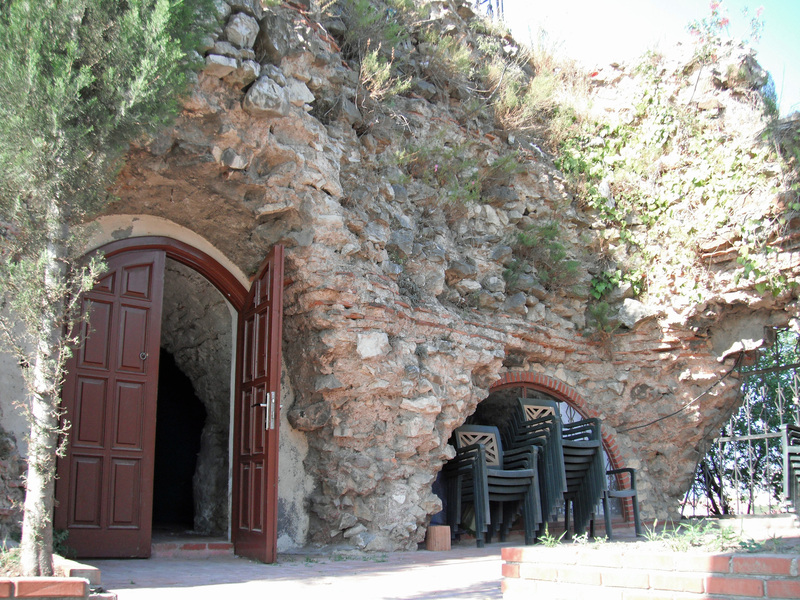 The restaurant made use of the tower’s interior by putting a door over it and using it for storage, but I like to think of it as a mysterious cave into earth’s distant past, full of shadows, carved stone, and spider webs. Perhaps it also hides undiscovered treasure like a gold ring lost by a visiting king long ago. His body has since passed to dust and his name forgotten, but the gold ring may still be found by a curious restaurant diner in our modern world. 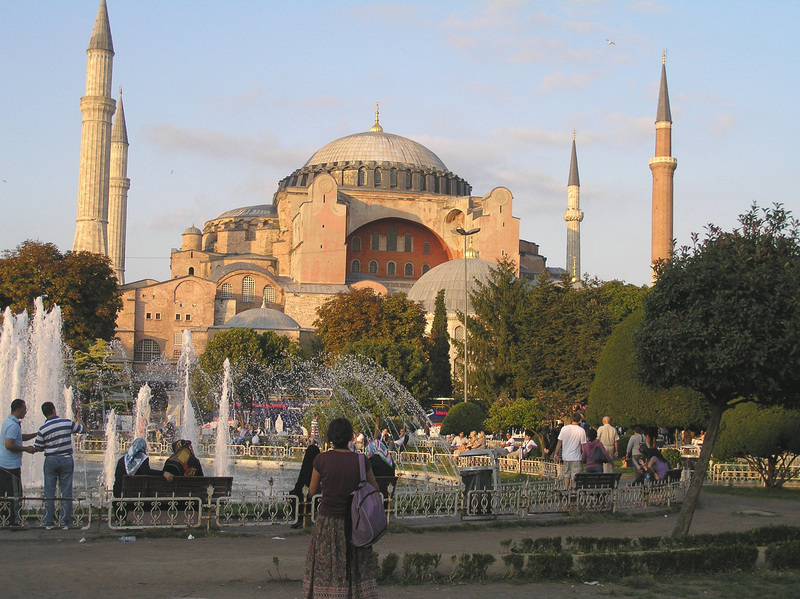 Hagia Sophia (“Ayasofya” in Turkish) was dedicated as a Christian church in 360 A.D. Famous for its Byzantine dome, it was the world’s largest cathedral for 1000 years and the focus of the Greek Orthodox Church. It contained holy relics, colorful mosaics, and painted icons (portraits of angels and saints) on silver walls. In 1453, Sultan Mehmed II conquered Constantinople (the former name of Istanbul). He ordered Ayasofya (which was still the largest building in the world) to be converted into a mosque. The bells, altar, and icons were removed, and the mosaics were plastered over. Islamic features such as four tall minarets were added. Ayasofya was used as a mosque until 1931 when the Republic of Turkey, under the secular democratic leadership of Mustafa Kemel Ataturk, ordered it to be made into a museum. Since then, millions of Christians have come from around the world to admire Ayasofya’s arches, windows, stone carvings, and tile mosaics that highlight Jesus, Mary, and even Byzantine leaders (each with an amazing story to accompany the art). Most Istanbul tours are organized around a visit to Ayasofya, and every day tourist buses can be seen around the historical landmark while tourists stroll along with their cameras. You can even take a virtual tour online. 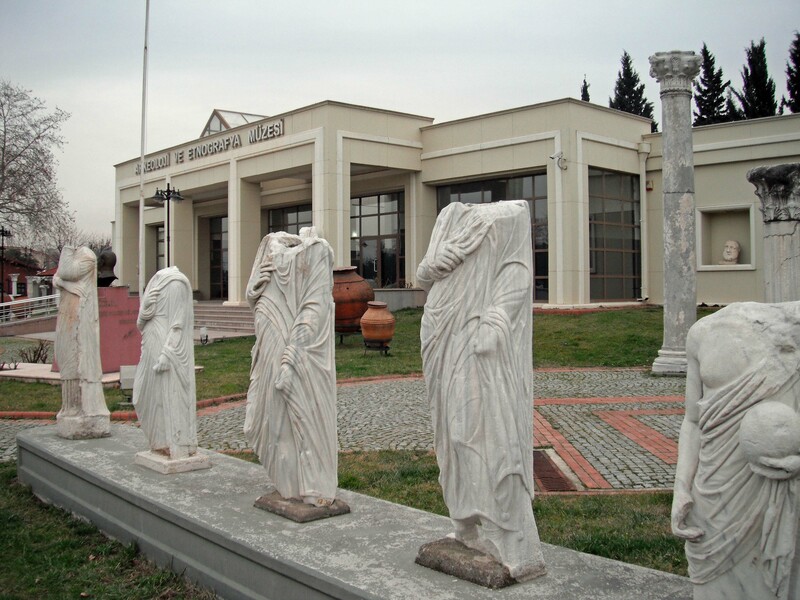 I’ve been visiting local museums in Izmit, Turkey (near Istanbul). The curator and museum director gave me private tours. I took photos of amazing old marble stone carved into Greek and Roman statues, pillars, and archways. I found Byzantium frescoes and Ottoman fountains. I even glimpsed ancient coins and gold leaves crafted into crowns and pendants. Here are my top favorite marble photos. I just love stone and how it can be shaped into graceful figures and geometrical designs. Even letters can be engraved into it. Come and visit me in Turkey, and I’ll take you on an arcaeology tour! A pigeon in the window of the castle tower at Chanakkale, Turkey.